In 2012, Muammar Gaddafi was ousted as the leader of Libya. This event was the culmination of unrest due to a long list of grievances by both the Libyan people and the international community. While Gaddafi's legacy may be one of brutal political suppression and ruthless dictatorship, the leader did conceive of some truly visionary and even revolutionary plans for Africa, one of which was the creation of a unified African currency-built upon Libya’s dinar and backed by gold. From its inception, this idea was controversial. First, there was the problem of the currency being based upon the dinar. African nations had severe doubts about allowing Libya so much financial and economic influence; it was in effect a loss of sovereignty. Nations also expressed doubts about the global impact a new currency would have. As the European Union has demonstrated, a unified currency can be a great advantage, until it isn't. 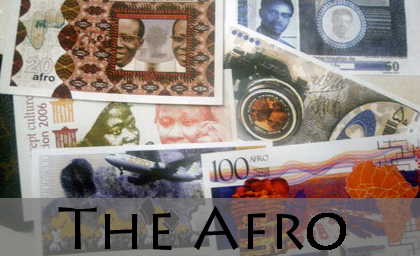 Even with so many doubts, the dream of an African currency has lived on, and it has only evolved since the Gaddafi era. Today, the stated goal of the African Monetary Union is the establishment of an economic and monetary union, administered by the African central bank, and the creation of a unified currency. This system would be similar to the European Union and its euro, and the currency is commonly referred to as the Afro (awesome name, I know). The African Monetary Union is as yet still in the planning stages for the currency, with a goal of establishing a unified economic community by 2023 and a central bank by 2028. So what do you think about the Afro? Is a unified currency the wave of the future, or just the stuff of dictator’s dreams?